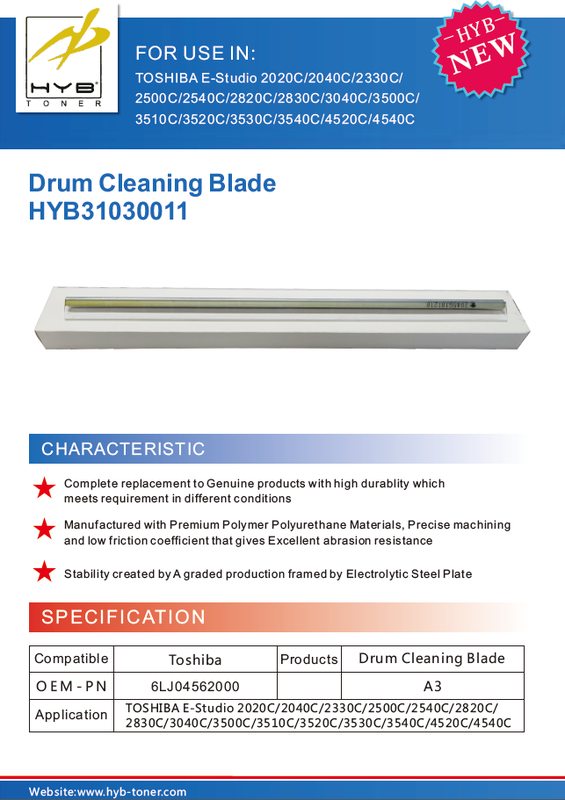 Recently HYB published some new drum cleaning blades which use in TOSHIBA and SHARP. 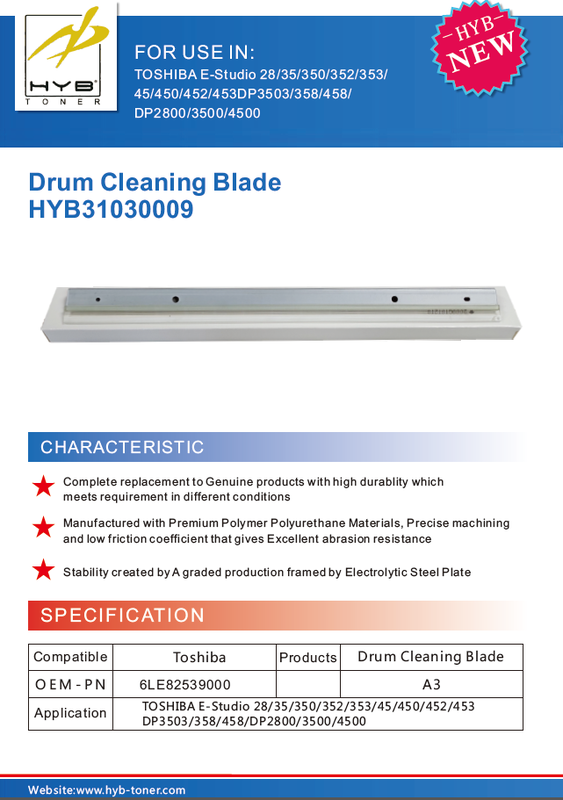 HYB is a manufacturer specialized in photocopier imagine products for more than 20 years. 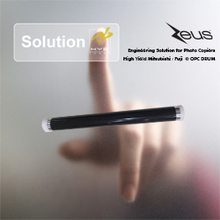 They insist on developing high quality and cost-saving products to customers. 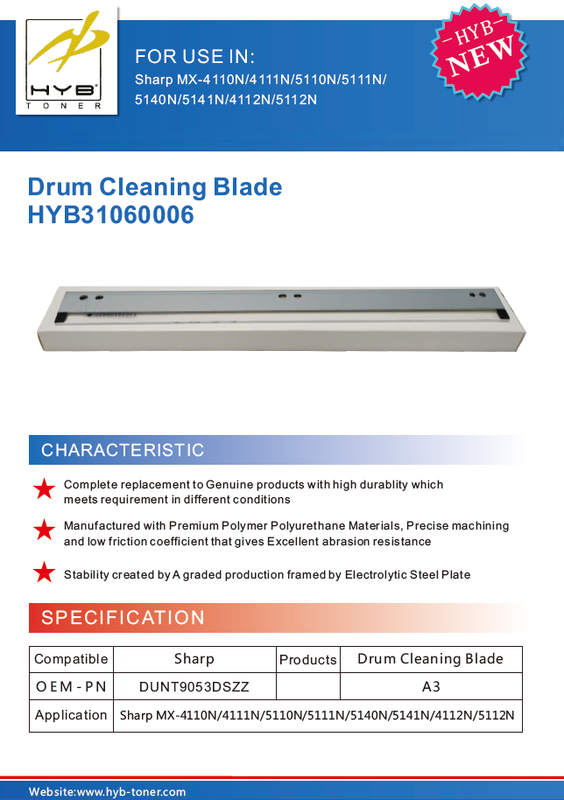 These new drum cleaning blades complete replacement to genuine products with high durability which meets requirement in different conditions. 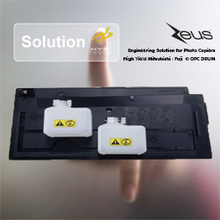 Stability created by a graded production framed by electrolytic steel plate. 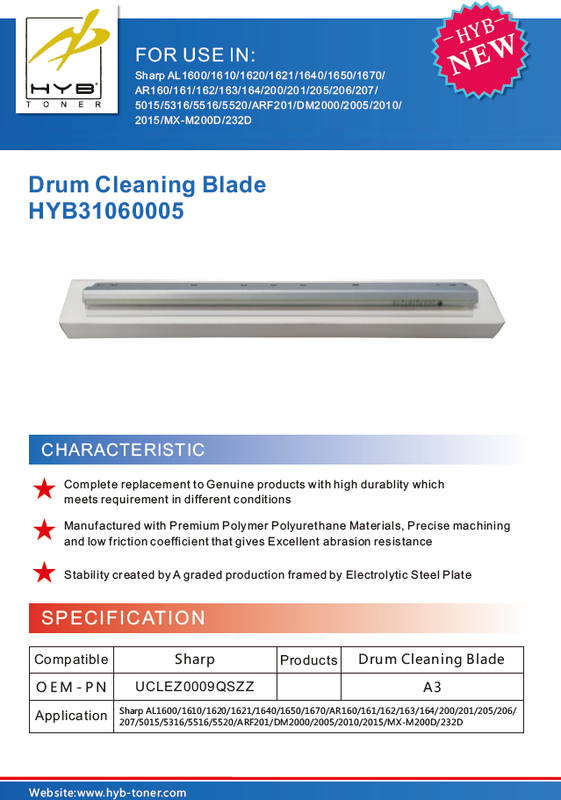 More details please see below.